AirStep trash can is the most sophisticated step trash can ever made. From its low-effort, ergonomic, feather-light step-activated open to its ultra-gentle, silent close, this trash can offers the most reliable and consistently pleasant experience available in a step trash can. The pedal has been designed to perform perfectly for over 200,000 steps; that's years of rigorous, daily use! Designed for maximum space efficiency, AirStep provides 25% more capacity than comparably sized trash cans. The trash bag retainer ring keeps the bag in place and out of view, while air vents at the bottom provide effortless trash bag removal. An easy to replace tension damper means this trash can will provide like-new performance for decades of use. 16 Gallon Dual-Compartment Stainless Steel Sensor Recycle Bin/Trash Can Every day we generate tons and tons of waste to the landfills. Save the earth, start recycling, and have fun doing it. 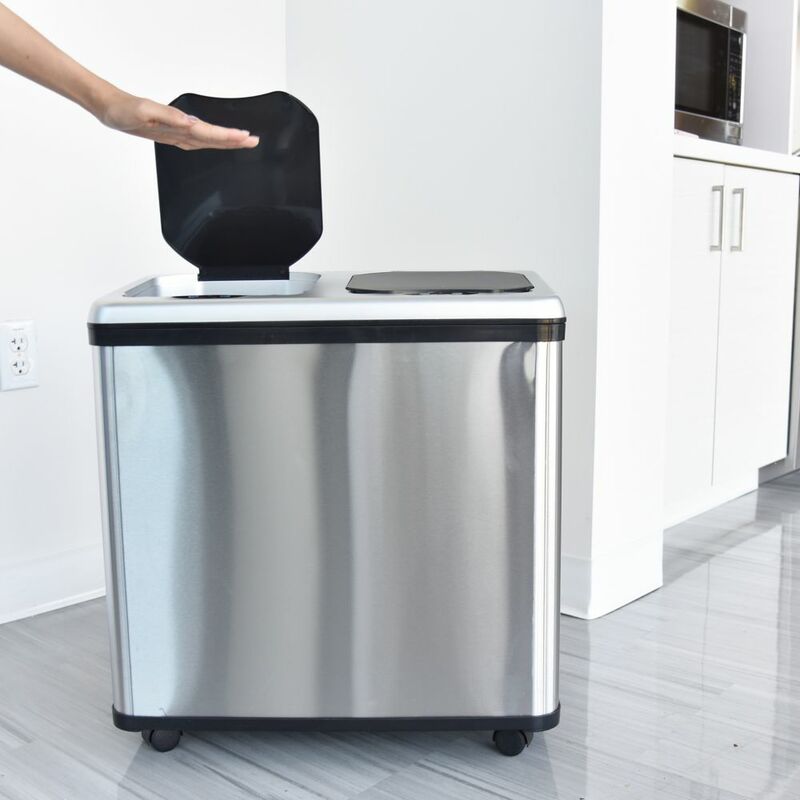 Bring home your very own Stainless Steel Sensor Recycling Trash Can. With 2 separate 8-gallon compartments, this trash can helps keep garbage and recycling materials separate. The sensor activated, automatic lid covers open as you approach the infrared sensor beam on top of the lid, then close as you walk away, providing you with convenience and hands-free disposal. Each compartment also includes a removable inner bucket making it easy to take out the garbage without creating a mess.